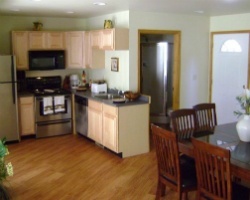 *Sciota Village at Big Valley* is surrounded by the scenic and inviting Pocono Mountains in east central Pennsylvania! This resort is an ideal vacation spot due to its many recreational facilities and local sight-seeing attractions. Guests can entertain themselves on-site with clubhouse activities, tennis courts, nature trails, and an outdoor pool. Summer visitors will find golfing, horseback riding, and trout fishing all within five miles. Snowfall brings ski sports to the area. Camelback Mountain is a very popular ski destination and is only 10 miles away. Other area points of interest include Bushkill Falls and the Delaware River. 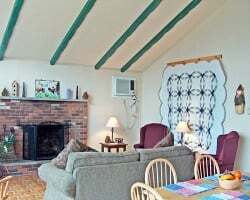 For an exciting and memorable vacation every year, choose *Sciota Village at Big Valley* resort! Beautiful resort in the Pocono Mountains! Floating week of your choice! Inquire for more details! See ad 100221347 for an identical ownership! Buy both and enjoy this fantastic location twice as much! Buyer may receive a title fee credit! See ad 100221243 for an identical ownership! Buy both and enjoy this fantastic location twice as much! Buyer may receive a title fee credit! Resort has the best of all seasons from fall foliage to the beautiful snowy mountains! Come visit and enjoy all Pennsylvania has to offer! Peaceful retreat near the Poconos! Family friendly resort! Buyer May Receive A Title Fee Credit, Inquire For Details! Annual floating week! Enjoy scenic views of the beautiful pocono mountains! Buyer May Receive A Title Fee Credit, Inquire For Details! Escape all the everyday stresses of life at this peaceful retreat! Buyer May Receive A Title Fee Credit, Inquire For Details! 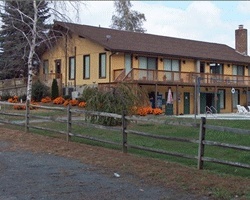 Resort is set near the incredible Poconos mountains! Buyer May Receive A Title Fee Credit, Inquire For Details! Enjoy a floating week vacation each year in the picturesque Poconos! Buyer may receive a title fee credit, inquire for details! Surround yourself with all the natural beauty of nature near the pocono mountains! Buyer May Receive A Title Fee Credit, Inquire For Details! Motivated seller, negotiable! Buyer May Receive A Title Fee Credit, Inquire For Details! All seasons resort close to skiing & new casino! Even years usage in Blue season week! Make an offer today! Odd years in White season! Global exchanges also available through RCI with an RCI membership. Make an offer today! Enjoy floating week vacations surrounded by the beauty of the Poconos! Buyer may receive a title fee credit, inquire for details! Peaceful resort yet near plenty of activities for all ages! Buyer May Receive A Title Fee Credit, Inquire For Details! Sale includes 1 banked week and the fees are paid through 2017!! Floating week of your choice at this lovely resort located in the heart of the scenic Poconos! Buyer may receive a title fee credit, inquire today! Enjoy annual vacations in the beautiful pocono mountains! New condo building just added! Buyer May Receive Title Fee Credit, Inquire For Details! All seasons resort close to skiing & new casino! Odd year floating week! Buyer may receive a title fee credit, inquire for details! Large unit to accommodate all family and friends! Annual floating week! Buyer may receive a title fee credit, inquire for details! Relax in the beautiful Pocono Mountains! Swimming in the summer & skiing in the winter! 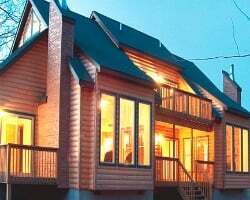 Enjoy family vacations in the Pocono Mountains! Explore the beautiful area of Central PA year after year! Book your floating week today! Motivated Seller! All offers will be taking into consideration! Make an offer! Charming resort that is surrounded by nature & the Poconos! Motivated Seller!Floating week every even year in charming Pennsylvania! Buyer may receive a title fee credit, inquire for details!